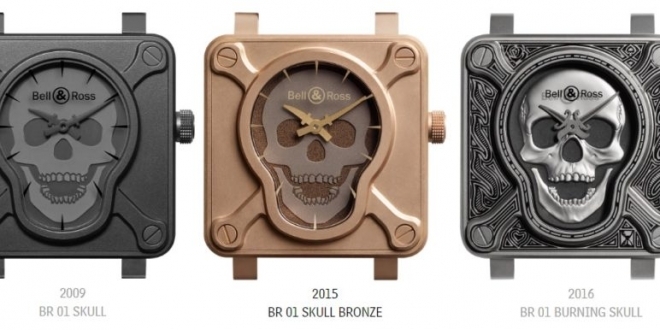 In 2009, Bell & Ross made an impression with its BR01 Skull which was followed in 2015 with the BR01 Skull Bronze. 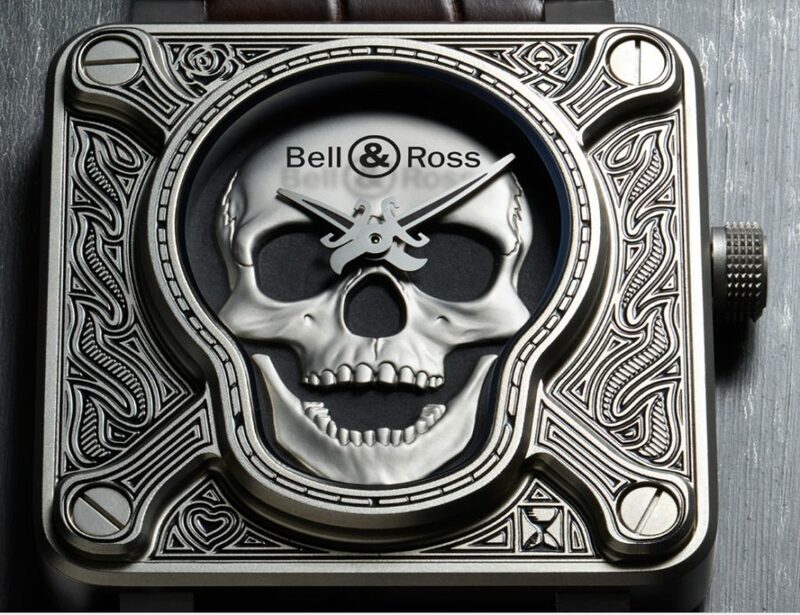 We see that the Bell & Ross skull has taken yet another twist with the BR01 “Burning Skull.” this year. 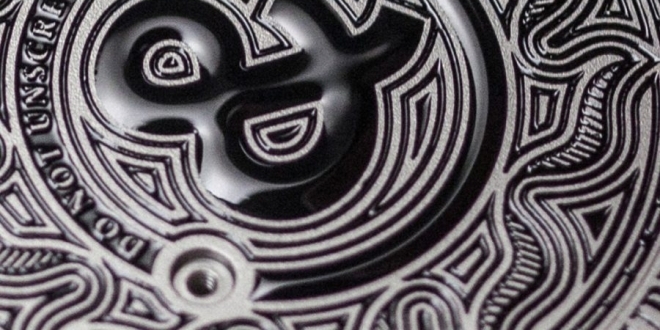 The entire case surrounding the dial is fully engraved and decorated in the style of a tattoo, the array of details covering every surface and recess. 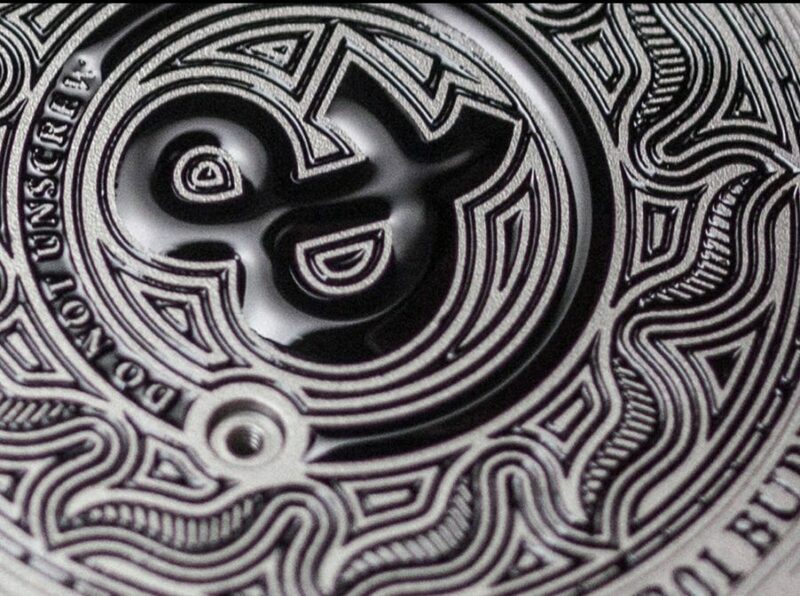 To create this effect, each line engraved into the steel is filled manually, using a stylus, with a black ink/varnish, just like a tattoo artist decorating the skin. During the process, the replica piece is fired several times in an oven to fix the lacquer. 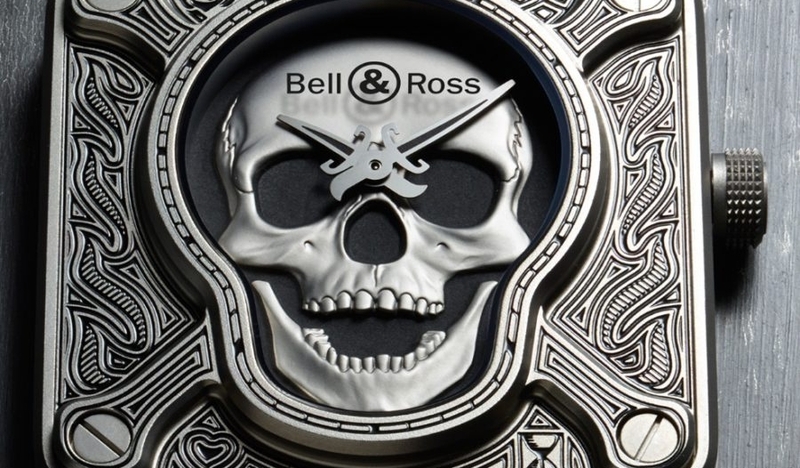 The stamped metal skull’s realism in the center of the dial is reinforced by the design of the dial on two levels, which brings a depth to the visual effect. The black SuperLuminova covering the dial face further accentuates the skull, intensifying its defiant stare.